*Does the product work for your specific hiking needs? *Will it last more than one season? Hiking For Her doesn't do paid reviews. So everything you read is honest, unbiased and uncompensated. Be wary of sites which are paid for their remarks. Get to the good stuff fast! Each link below takes you to a category of hiking, backpacking and camping gear I've reviewed. You'll find out exactly how this item will (or won't) fit into your outdoor plans. Keep in mind that I'm not trying to please anyone or market anything to you. Fifty years of trail time will do that a woman (seriously, 5 - 0). I push my gear hard, then tell you what worked - and what didn't - in my hiking gear reviews. Let's start off with trail food - because food is gear, too, when you stop and think about your optimal trail performance. What's a hiking layering system? you'd like me to review? Gear reviews are so much fun to do, and I promise to give a fair, unbiased assessment of trail performance for your product. 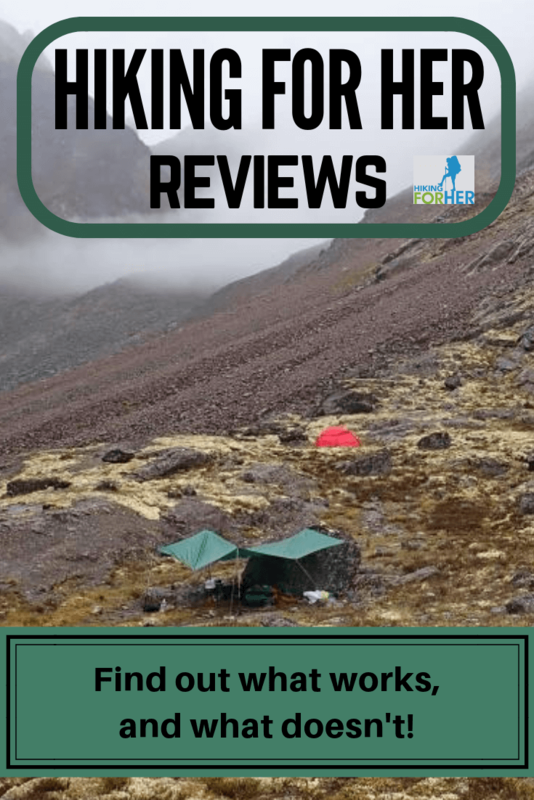 These detailed hiking reviews might cause you to feel overwhelmed when attempting to size up a new piece of outdoor gear or clothing. On line shopping for hiking gear is even worse - not only too much information, but no way to handle the gear or ask questions before investing your money. That's why letting an experienced hiker review the gear for you BEFORE you lay out cash is a smart move. And choosing experienced hikers (old trail dogs like me) is a smart move. I'm sure it's on your mind when you read gear reviews. You want your money (along with your legs, but that's a different story) to go as far as possible, right? After all of that outdoor time, I think it's fair to say that I know how to size up a piece of hiking gear. And it's my pleasure to share my findings with you, dear hiker. Hiking gear reviews for women hikers should be written by those who use the products, not those who design or market them. At least that's my opinion! Note that Hiking For Her reviews only award accolades when they are well deserved, because I want you to have the very best outdoor gear and clothing available - not what's being pushed this season. I got started with hiking when I was just a wee young lassie: read my story here. as well as marketing hype that makes steam come out of my ears (see list of adjectives above if you missed them). Also, the advent of fleece. Still brings tears to my eyes! I love to eat, and am not shy about the fact that I relish second breakfast and frequent snacking on a hike. 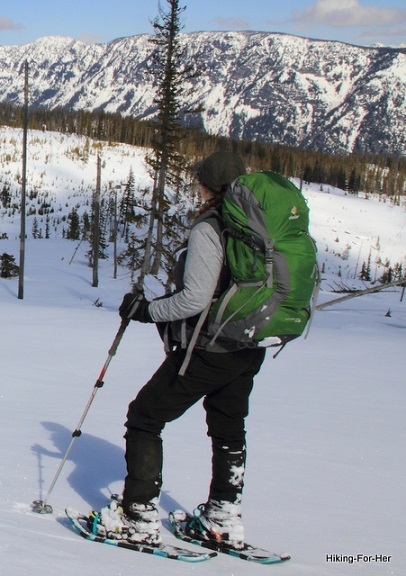 I'm a scientist by training and temperament, so when I get a new piece of gear (boots, poles, tent, jacket, what have you) I put it through its paces in a scientific manner, using those questions I noted above as a foundation for my judgement of gear worthiness. On top of that analytic streak, I'm hard on my gear. I know how to take good care of it, but I push it hard, too. So I give each piece of gear a rigorous test before I make up my mind about its worthiness (or not) in my gear locker. Here's the approach I use when sizing up gear reviews written by someone I don't know or hike with. Let's stay in touch about the merits and drawbacks of what you're considering for your trail time. Drop me a line using this CONTACT link. 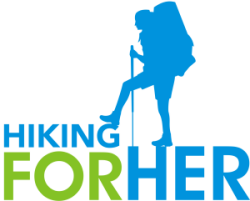 To see what's new and inspirational in the hiking community, drop by the Hiking For Her Facebook page or Pinterest page.